Jeff Lievense is a Senior Engineering Fellow at Genomatica, a developer of biobased technologies for the chemical industry. He was trained as a chemical engineer, graduating with highest honors from The University of Michigan, and then earned his PhD from Purdue University. With 35 years of experience in industrial biotechnology, Dr. Lievense has broad and deep knowledge in metabolic engineering and bioprocessing. He has contributed to the commercial development of many fermentation chemical products, spanning enzymes, amino acids, aromatics, polyols, organic acids, carotenoids, biogums, sweeteners, and hydrocarbons – these having diverse applications in fuels, human and animal nutrition, clinical diagnostics, pharmaceuticals, synthetic dyes, and polymers. 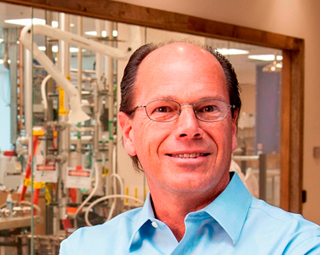 In 2014, Dr. Lievense was recognized as an Outstanding Chemical Engineer by Purdue. In 2016, Biofuels Digest named him one of the Top 100 People in the Advanced Bioeconomy. He has been on the instructional team of UC San Diego Extension’s highly rated Microbial Fermentation Workshop since 2013.